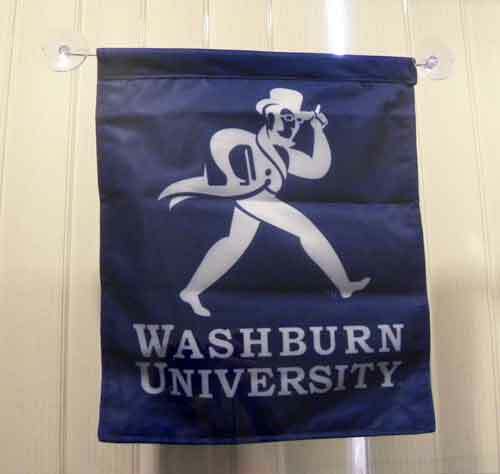 12" X 15" nylon window/garden flag is WU Blue with white Ichabod/Washburn University logo. Durably constructed and easy to use, the flag is sleeved across the top to hang from a standard garden flag pole OR display it in your window. Includes plastic rod with suction cups for window mounting or attaching to any smooth surface.